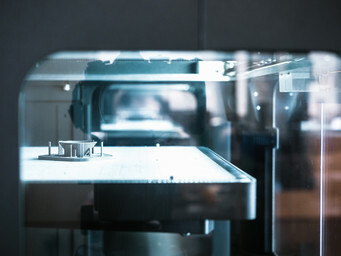 2019 is a huge year for the 3D printing industry. After the last two years of machine innovation and broad system implementation, few people doubt 3D printing’s ability to fundamentally alter the manufacturing landscape. With that confidence comes many new questions: where exactly does 3D printing fit and what machines and technologies are set to make the biggest impact? In this article, we dissect four 3D printing trends and their impact on the industry. What are some 3D printing trends for 2019? The divergence of metal 3D printing towards either affordable machines or machines for mass production. A widespread acceptance of high-grade plastic and composite printing in manufacturing fields. 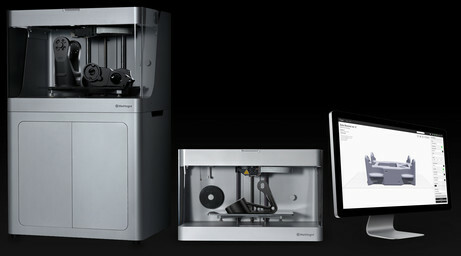 As recently as three years ago, no metal 3D printing systems cost less than $500,000 to implement. Realistically, most metal printers — including purchase, installation, and support — cost north of a million dollars. 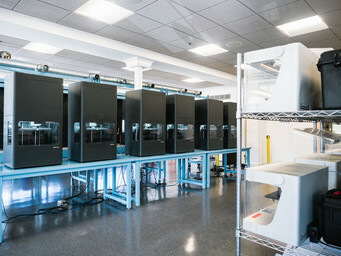 Nearly all these machines used selective laser melting (or a close derivative), a process requiring a high-power laser and powder management system. These large, expensive, difficult to maintain machines would sit in a large company’s innovation lab, printing out either prototypes or exploratory designs. In the last few years, two critical changes have ushered in a divergence in how metal printing is used. 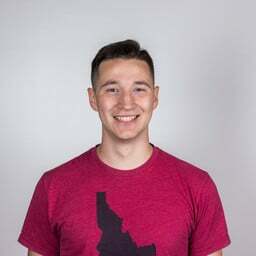 First, a number of companies have released more affordable metal printers, ($100k-$200k startup cost) reducing the financial barrier to entry and allowing more companies to invest in the process for a wider variety of applications. 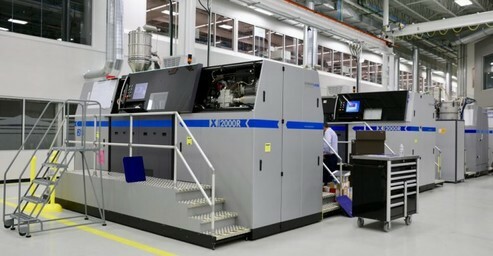 Second, companies like GE Additive (by purchasing two metal 3D printer companies) and HP (by developing their own Binder Jetting printer) have experimented and succeeded in implementing additive manufacturing at a larger scale, utilizing investments in the tens or even hundreds of millions to produce end-use parts at production volumes. This divergence in cost points toward a future with two distinct goals: proliferating metal 3D printers and utilizing metal additive manufacturing for true production. A 79% year-over-year increase in sales turns heads. While we don’t have data for 2018 yet, the jump from 983 metal printers sold in 2016 to 1,768 sold in 2017 (according to Wohlers Report 2018) is striking. It suggests an increasingly widespread adoption of metal, consistent with more affordable machines. 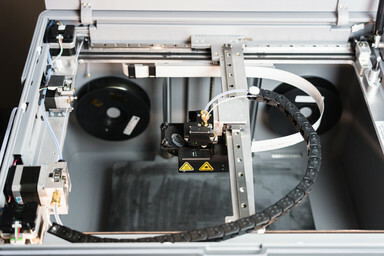 In 2019, a wide variety of companies will ship thousands of metal 3D printers (including the Metal X), many utilizing technology that didn’t exist three years ago. Increasing the number of metal 3D printers in customer’s hands is obviously great for the industry; however, beyond awareness and adoption there’s a third benefit that could be the most significant: specification and testing. Currently, many metal 3D printing systems are largely untested: far more companies have announced machines then have actually shipped them, resulting in a significant gap between promised capabilities and the likely reality. 2019 will help ground these promises and separate the printers, technologies, and applications that are most useful away from the rest. With hype comes market saturation, and 2019 is the year that that this highly hyped, newly saturated market is tested in the court of public opinion. Metal 3D printers capable of mass production has long been additive manufacturings’ holy grail. 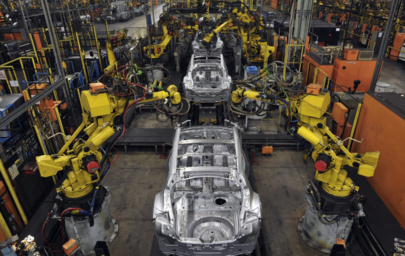 Over the years, a few technologies have been touted as the future of mass production, but none have followed through. Few people expected Binder Jetting, a technology common in plastic 3D printing and surprisingly similar to paper (2D) printing, to take up the mantle. It’s not even a new technology in the metal space: one vendor has been selling binder jetting metal printers for years. However, with the normalization of the sintering process, process improvements, and HP’s entrance into the space, it now appears to be the next big thing. Binder Jettings’ biggest advantage is its simple, low-energy process. Instead of using a laser to thermally fuse metal powder together, it utilizes a polymer binder that can be deposited from an ink jetting system similar to one in a standard paper printer. This process is fast, and yields many parts that can be batch sintered. In reality, Binder Jetting is a few years away from serious relevance in the manufacturing space — with some huge questions to answer before it gets there. 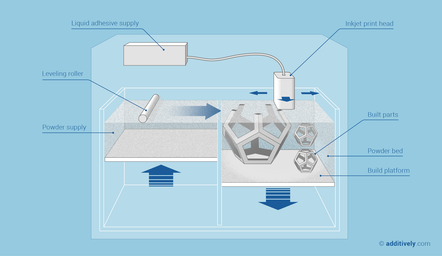 Can sintering at scale work? How reliable can the printers be and how accurate can the parts be? What are the geometry and part size constraints of these machines? And, finally, we know that they’re fast, but how fast can they get? If the developers of this technology can answer these questions, the sky’s the limit. 3D printing, like any new technology, experienced a distinct Hype Cycle like the one below. 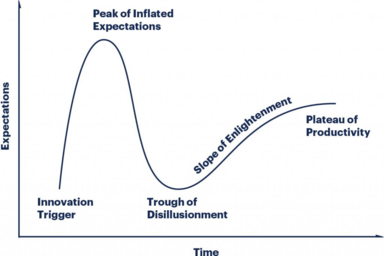 If the beginning of the hype cycle was 2009 (when the first cheap printers became available), then the bottom of the “Trough of Disillusionment” was sometime around 2014-2015. Many manufacturing and engineering companies had tried to integrate a technology lauded as the end-all future of manufacturing, but found the materials to be limited, the part quality poor, and the reliability low. Then, something changed. The past four years have seen strong, tough, and chemical- and heat-resistant materials emerge, manufacturable on 3D printers that are more reliable and accurate than their predecessors. Machines like the Markforged Mark Two and X7 (both launched in 2016, though the X7 was originally known as the Mark X) have altered perceptions by the thousands, proving that 3D printing holds an important place in manufacturing. So, where are we now? It seems as though we’re somewhere on the “Slope of Enlightenment”. There are still many new machines and materials to develop and new applications to explore, but it’s pretty clear that 3D printing has become a productive tool in the repertoire of designers, engineers, and fabricators everywhere. The big question now is how much farther it will go: are we close to the plateau of productivity, or are there many more innovations in store? We at Markforged believe firmly that this is only the beginning. Interested in printing in metal? Check out our Metal X for more info. Learn the difference between affordable printers, their applications, and part quality.